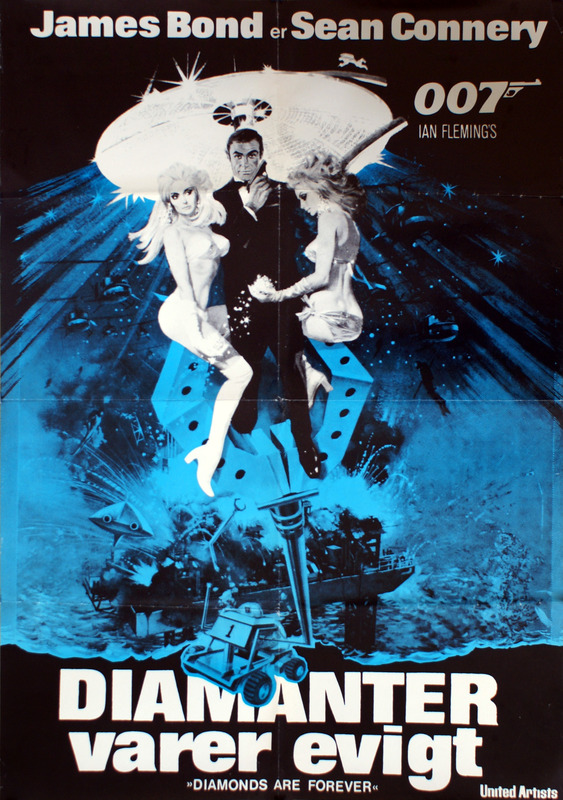 For the Danish 1977 theatrical re-release of "Diamonds are Forever" (1971), local distributor United Artists reprinted the original poster in a cheaper version with blue spot colour. Original artwork by Robert McGinnis. 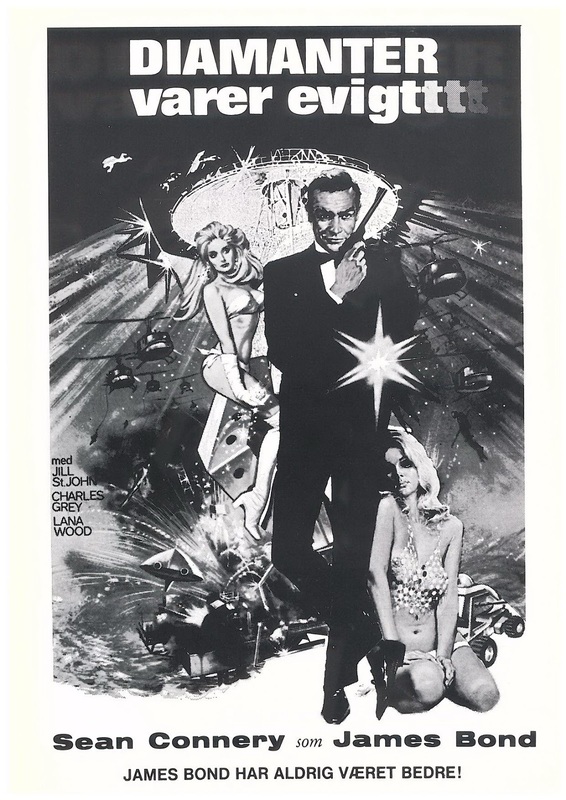 In December 1971, the Danish branch of United Artists released this 16-page souvenir programme in A6 format to mark the Danish cinema release of "Diamonds are Forever" (EON Productions 1971). The programme was distributed for free in selected cinemas during the film's theatrical run in Denmark. Oddly enough, United Artists' publicity department neglects to mention Bond girl Jill St. John's former marriage to Danish-American nobleman Lance Reventlow. 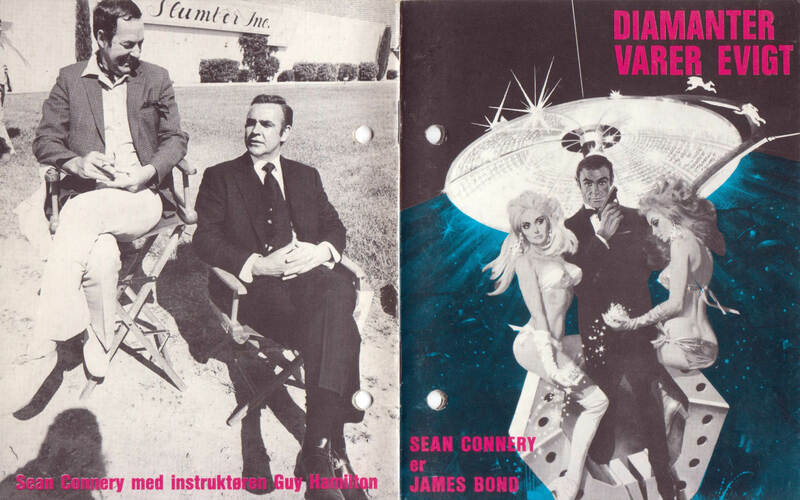 If anyone owns a copy of this programme without perforations, James Bond•O•Rama.dk would love to receive a hi-res scan. These are the original Danish ad sheets for "Diamonds are forever" (EON Productions 1971), issued by the film's local distributor United Artists. The press book was distributed to cinema owners in Denmark to mark the film's theatrical release in December 1971.